B.C. 's provincial health officer says mandatory reporting of vaccinations is just another tool for public health officials to assess the scope of immunization — so they can respond to outbreaks more effectively. And Dr. Bonnie Henry says mandatory reporting could be active in B.C. as early as the start of the next school year. "There might be a bit of hassle at the beginning for people to get their records, whether they are with physicians or public health," said Henry. "But once it's into a central registry, it is a benefit to everybody." Henry said it's important parents report their children's immunizations, because it increases the ability for health authorities to understand which schools are at risk and target those schools to ensure they are protected. Mandatory reporting was recommended in 2014 by then B.C. Chief Medical Health Officer Dr. Perry Kendall, after 343 measles cases were reported in B.C. It has been under active consideration since then, according to B.C. 's health minister, Adrian Dix. "What we need to do is take the steps to see that more people are immunized," said Dix. "Mandatory registration … would increase the rate of vaccination," Dix said Thursday. Dr. Henry said that while the process is yet to be determined in detail, she expects there will be some exemptions —including medical reasons or personal beliefs — that will require a notarized form to be submitted that outlines parents understand the potential consequences of their child not being immunized. 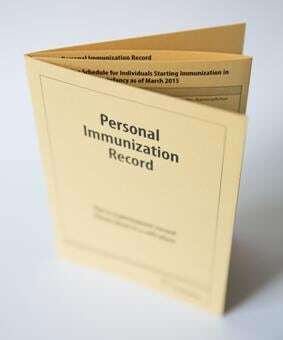 In the event a child's immunization record isn't up to date once reporting has begun, the family will be advised to follow up with a physician or health unit to get the required immunizations. Proof of immunization has been a requirement for children entering New Brunswick schools since 1982. The province's chief medical health officer says — even after 37 years — gathering that information is still necessary. "Maintaining vigilance around vaccination rates and herd immunity is an ongoing concern, as we lose the historical experience that people had of family members or friends being affected by vaccine preventable diseases," said Dr. Jennifer Russell. Ontario's model is similar to New Brunswick's where every child has an immunization card that shows a record of their vaccinations. Parents update the card with each vaccination or booster and report those to the provincial health care unit either in person or online. 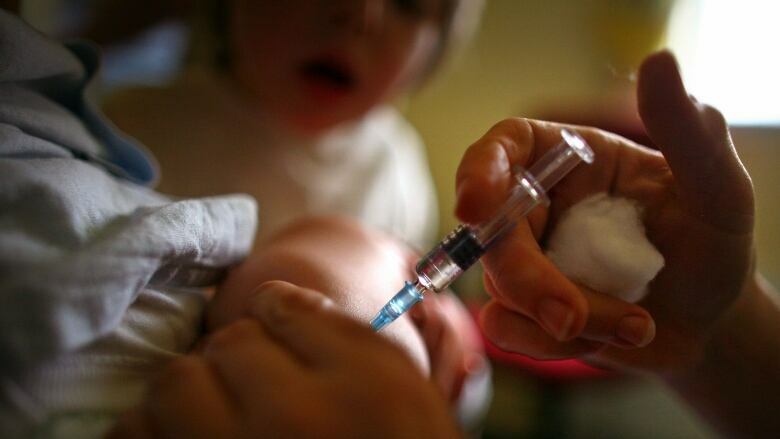 In B.C., 14 per cent of children haven't been immunized against measles. And while mandatory immunization reporting is "obviously not going to make a difference for this outbreak," Dr. Henry has hope for the next time. "This outbreak has raised the awareness, and it's another thing that we can do that will improve immunization for the future."